When you have decided that your lifestyle needs a good amount of daily luxury, then you need to find the right home to host it. You can find everything that you are looking for when you choose to live in the Alexan Arapahoe Square luxury studio apartment homes in Denver Colorado. Indulge yourself and your friends when you take advantage of the many luxury apartments and community features you will come to love. Choose from any number of well-designed layouts and floor plans that are sure to suit the life you want to live. When you spend time in your new neighborhood, you will discover your area has all the dining and entertainments you and your friends could ever enjoy. 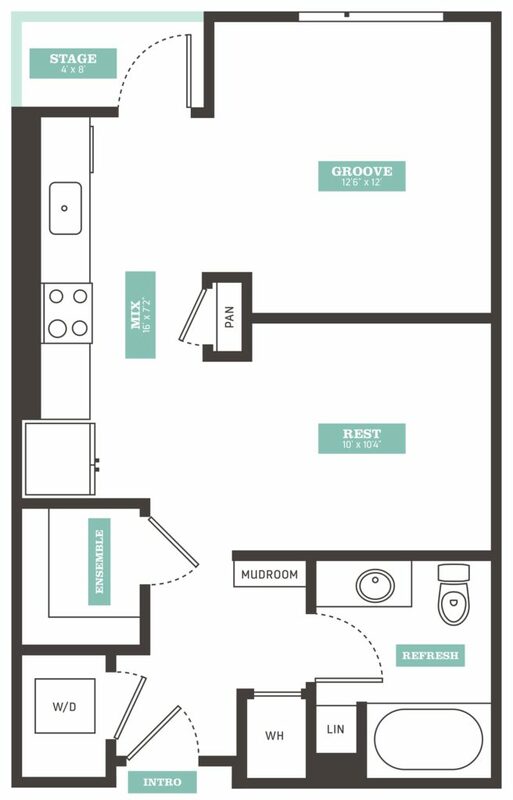 Making the right move into the luxury lifestyle you want to live means living in the right place when you choose the S6 Studio/ 1 bath featuring 614 sq.ft. of living area. As soon as you walk in, you can appreciate the easiness of flow in this unique layout. From your entryway, you can access your washer/dryer closet that successfully turns any laundry day into a laundry morning or afternoon. Opposite your laundry closet, you find easy access to a mudroom and your spa bathroom. Enjoy everything you need to relax and refresh in your well-appointed bathroom. Farther in you can access your ample wardrobe with as much room for evening wear as winter coats. You also have easy access to your galley-style gourmet kitchen. Off the kitchen, you can access your sleeping area that is separated from your living area. Your living area has easy access to your private balcony. Choose to make the right move into the perfect luxury studio apartment homes in Denver Colorado when you live in the Alexan Arapahoe Square.